As per decision of Ethical Standard Board (ESB) of ICAI, A chartered accountant cannot exercise lien over the client documents/records for non-payment of his fees. In this regards section 170 of the Indian Contract Act, 1872 reads as under: "Bailee's particular lien - Where the bailee has, in accordance with the purpose of the bailment, rendered any service involving the exercise of labour or skill in respect of the goods bailed, he has, in the absence of a contract to the contrary, a right to retain such goods until he receives due remuneration for the services he has rendered in respect of them. (A) A delivers a rough diamond to B, a jeweller, to be cut and polished, which is accordingly done. B is entitled to retain the stone till he is paid for the services he has rendered. The above view is based on the general principles of law under which any person having lawful possession of someone else's property may retain the property for non-payment of his dues. As section 170 uses the words 'goods' and not the word 'property' and as client's books of account and papers are not 'goods', lien under section 170, will not be available to lawyers/CAs/CWAs/CSs. Therefore, withholding books and papers of the client for unpaid fees appears to be not legally tenable and even amounts to professional misconduct. (a) The assessee filed return of income which was picked up for scrutiny where he was required to explain the deposits in his saving bank account. The AO made additions on account of unexplained cash deposits. (1) The tax so collected on the foundation of the ignorances of a 'tax illiterate tax payer' could not be termed to be a collection of either 'just' nor 'due' taxes collected by the State in accordance with law. The assessee represented by an equally ignorant counsel, should have been appropriately guided by the First Appellate Authority. The fact that the Commissioner (Appeals) while exercising his discretion refused to admit evidence inspite of sufficient cause being shown as a matter of record was unwarranted and arbitrary. (2) Since in the facts of the instant case due to his wife's illness the assessee was prevented by sufficient cause from producing the evidences in support of his claim, the impugned order was set aside and the issue to be restored back to the Commissioner (Appeals) with a direction to permit the assessee to produce the evidences in support of his claim. a) The Assessing Officer proposed to assess the annual letting value of the flat. The assessee has submitted that flats were vacant and therefore even if Annual Letting Value (ALV) has to be assessed, the vacancy allowance should be allowed. The Assessing Officer before the CIT (Appeals). The CIT (Appeals) confirmed the addition made by the Assessing Officer The aggrieved-assessee filed the instant appeal. 1. The assessee has explained that the house was under renovation and therefore, it could not be let out during the year under consideration. Further it was not intentionally kept vacant by the assessee. Thus, vacancy of the house was beyond the control of the assessee and, therefore, the benefit of vacancy is available to the assessee as per the provisions of section 23(1)(c). 2. The process of letting out may take some time in searching the suitable tenant and for settling the terms and conditions of the letting out. Therefore, even if it is presumed that the house is ready for occupation if it is not intentionally kept vacant by the assessee then it cannot be presumed that the assessee has deliberately not let out the house during the year under consideration. same in the form of questions and answers. Provisions of Rule 114E(2) provides that persons liable to tax audit should report transaction of cash sales of goods or services to Income-Tax Department in AIR. Such reporting requirement is there only when receipt of cash payment exceeds two lakh rupees. Doubts were raised whether all cash transactions would be aggregated to consider the aforesaid limit of Rs 2 lakhs. The CBDT vide Press Release, dated 22-12-2016 has clarified that aforesaid cash transactions did not require aggregation.The reporting requirement in AIR is on receipt of cash payment exceeding Rs 2 lakh for sale of goods or services per transaction. Seller is required to report details of cash sales in AIR only when transaction value of such sales exceeds Rs 2 lakhs. Suppose, if any seller has made cash sales of 20 transactions at Rs 20 lakhs then he is not required to report such transactions if value of each transaction does not exceed Rs 2 lakhs. a) Assessee was engaged in business of broking in Government and other securities. As clients of assessee did not pay service tax to it, assessee paid service tax out of its own resources and claimed deduction of same under section 37(1). 1) It is undisputed that the obligation under the Finance Act, 1994 to pay the service tax is on the assessee being the service provider. This obligation has to be fulfilled by the service provider whether or not it receives the service tax from its clients/customers. If a small trader makes his transactions in cash on a turnover of Rs. 2 Crore, then his income under the presumptive scheme will then be presumed to be Rs. 16 lakhs @ 8% of turnover. After availing of Rs. 1.5 lakhs of deduction under Section 80C, his total tax liability will be Rs. 2, 67,800. However, if he shifts to 100% digital transactions under the new announcement made, his profit will be presumed to be at Rs. 12 lakhs @ 6% of turnover, and after availing of Rs. 1.5 lakhs under Section 80C, his tax liability now will be only Rs. 1,44,200. Here, digital transactionincludes payment received by Cheque or through any other digital means. Apart from making a tax saving by migrating to banking mode, the small businesses would be able to build their books which may also help them get bank loans easily. Also, if transactions are carried out through banking channels, then anybody having annual turnover up to Rs. 66 lakhs will have zero tax liability after availing the benefit of Section 80C, after amendment of this new rate structure. Recent demonetization drive of the Government has encouraged people to shift towards digital mode of payment while making financial transactions. By adopting digital mode of payments, no financial transactions would remain undisclosed and, consequently, an enhanced turnover of business might get reflected in the books of account.The existing provisions of section 44AD provide that 8% of turnover would be deemed as presumptive profit in case of certain assesses having a turnover of Rs 2 crore or less. In order incentivise small traders to proactively accept payments by digital means, Govt. has decided to reduce the existing rate of deemed profit under Section 44AD from 8% to 6% in respect of the turnover or gross receipts through digital means for the Financial Year 2016-17. However, the existing rate of deemed profit of 8% referred to in section 44AD, shall continue to apply in respect of total turnover or gross receipts in cash. Such changes would be effective once amendments are brought to Section 44AD by the Finance Act, 2017.
c) Amount held in cash and bank deposits. e) Details of amount deposited in PM Garib Kalyan Deposit Scheme (i.e., minimum deposit amount is 25% of unaccounted income) An option is also given to revise the declaration till March 31, 2017 if there is any omissions or wrong statement. After filing of declaration, the Principal CIT or CIT shall issue a certification in Form-2 to the declaration within 30 days from the end of the month in which declaration has been furnished. standi to challenge service-tax circular on Joint Development Agreement. Under the existing provisions of section 139(5), revised return can be filed only if original return contains any omission or any wrong statement. Post demonetization of the currency, some taxpayers may misuse this provision to revise the return-of-income of earlier Assessment Years, for manipulating the figures of income, cash-inhand, profits, etc. with an intention to show the current year’s undisclosed income in the earlier return. to ascertain the correct income. It may also attract penalty or prosecution in appropriate cases. Demonetization has encouraged people to shift towards digital mode of payment while making financial transactions. By adopting digital mode of payment, no financial transactions would remain undisclosed and consequently an enhanced turnover of business might get reflected in the books of accounts. Under the circumstances, an apprehension has been raised that increased turnover in the current year may lead to reopening of earlier years' cases causing undue harassment to tax payers. Thus, CBDT and CBEC (vide Circular No. 40/2016 and Circular No. 137/155/2012-Service tax) have advised tax officials not to re-open past assessments in income-tax and indirect tax cases only because increased turnover is reflected in books of accounts of business on account of increased use of digital means of payment. It would be incorrect to construe the above Circulars as giving any amnesty to taxevaders. Nor do the above circulars say that any spurt in turnover reported in books of account of businesses of current financial year (and consequently in their ITRs or indirect taxes returns) would not need to be explained. throws up reason to believe that past turnovers/incomes escaped assessment. The Income-Tax Department conducted investigation across India due to sudden surge in cash deposits in Jandhan accounts. Investigation revealed undisclosed moneys of approximately Rs.1.64 Crore deposited into Jan-Dhan Accounts. Such deposits have been made by persons who have never filed returns of income and whose income is below the taxable limits. Such Jan-Dhan accounts have been detected at Kolkata, Midnapore, Ara (Bihar), Kochi and Varanasi. Rs. 40 Lakh has been seized from one such account in Bihar. Undisclosed income so detected will be brought to tax as per the provisions of the Income Tax Act, apart from other actions depending upon the outcome of investigations. The CBDT has again urged the account holders not to consent to any kind of misuse of their accounts which would expose them to the dangers of being held responsible for the tax evasion by unscrupulous elements. Assessee was a company, engaged in the business of printing of currency notes for Government of India. The VAT department raised demand on assessee on the ground that currency notes were goods. The assessee filed writ before the High Court and argued that it was performing the sovereign functions of the Govt. of India and could not be said to be a dealer engaged in any business activities.The currency notes could not be termed as goods and the sale and supply of currency was out of the definition of goods. The Government has announced demonetization of existing currency of Rs. 500/1000 with effect from the 9th November, 2016. However, concerns have been raised that some of the existing provisions of the Income-tax Act, 1961 ('Act') could possibly be used for concealing black money. So, the Government has introduced Taxation Laws (Second Amendment) Bill, 2016 in the Lok Sabha to amend the provisions of Income-Tax Act. The Bill was also cleared in the Lok Sabha. The Government has announced Pradhan Mantri Garib Kalyan Yojana 2016 (PMGKY) in the Taxation Laws (Second Amendment) Bill, 2016. As per this PMGKY black money deposited in banks or held in cash can be offered for taxation at 49.9% (i.e., 30% tax, 9.9% surcharge and 10% penalty). not exceed Rs 5 lakh. Fake Circular No. RBI/2016-17/166 provides that in case of genuine deposits in Current Account banks are advised to take certificate of cash balance as on Nov. 8, 2016 duly attested by tax authorities along with details of deposits from Nov. 10, 2016 till date. Actual Circular No. RBI/2016-17/166 provides that banks should not rely on instructions issued on unofficial channels like social media and rely on instructions uploaded on RBI’s website. The Government has announced demonetization of existing currency of Rs. 500/1000 with effect from the 9th November, 2016. However, concerns have been raised that some of the existing provisions of the Income-tax Act, 1961 ('Act') could possibly be used for concealing black money. So, the Government has introduced Taxation Laws (Second Amendment) Bill, 2016 in the Lok Sabha to amend the provisions of Income-Tax Act. The Revenue Secretary, Hasmukh Adhia said that Income-tax department will not ask for the source of funds deposited in banks if the entire income is declared under PMGKY. From bare reading of this statement of Revenue Secretary, doubts arise as to whether any corrupt official or corrupt member of political party or any criminal can also come clean by paying 49.90% tax under PMGKY. No, any criminal or corrupt person cannot avail of benefit of this PMGKY as he is specifically excluded from purview of PMGKY. The Government announced demonetization of existing currency of Rs 500/1000 as a step forward to curb black money with effect from the 9th November, 2016. However, concerns have been raised that some of the existing provisions of the Income-tax Act, 1961 (‘Act’) could possibly be used for concealing black money. It is, therefore, important to plug these loopholes within Act so as to prevent misuse of the provisions. Thus, the Govt. 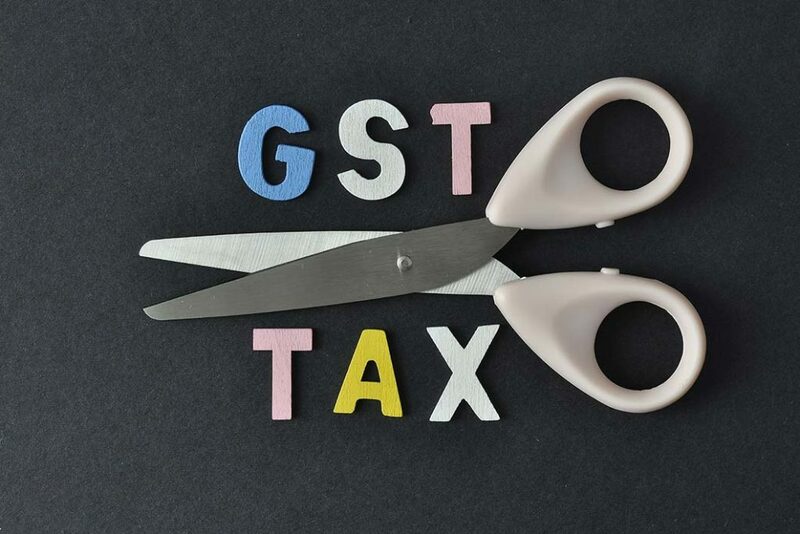 has introduced Taxation Laws (Second Amendment) Bill, 2016 in the Lok Sabha which proposes to make some changes in the Act to ensure that defaulting assessees are subjected to tax at a higher rate with stringent penalty provision. 1.Black money deposited in banks or held in cash can be offered for taxation at concessional rate under Pradhan MantriGaribKalyanYojna, 2016 (‘PMGKY’). This income would be taxed at 49.9% (i.e., 30% tax, 9.9% surcharge and 10% penalty). The Draft GST model law was released on June 14, 2016.On Nov. 26, 2016 the CBEC has released the revised version of draft GST model law after considering the suggestions of the stakeholders. It has also released the draft law for compensating the States. The Central Govt. would compensate the States for the revenue loss in the first five years of GST implementation. The Compensation payable to the States for any financial year would be the difference between actual revenue (i.e., SGST + apportioned IGST) and projected revenue. The GST compensation payable to a State shall be provisionally calculated and released at the end of every quarter, and shall be finally calculated for every financial year a􀁺er the receipt of final revenue figures, as audited by the CAG. To fund this compensation, there would be a levy of GST compensation Cess on specified goods and services. However, no cess would be levied on assessees opting for composition scheme. We will shortly provide our viewers the detailed summary of new version of GST law. Media reports: Proposal to tax demonetized notes at 60%! Whether legally sound? There are news reports in media saying that Union Cabinet approved a proposal to amend section 270A of the Income-Tax Act,1961 to provide that unaccounted cash deposited in bank account during the demonetization period(09-11-2016 to 30-12-2016) would be taxed at 50% if voluntarily disclosed in income-tax return. The amounts so deposited and disclosed will have lock-in-period of 4 years. If not so disclosed and the same is detected by the Income-Tax department, the amounts would attract 60% tax and penalty. There is no Bill or Ordinance or Press Release or CBDT Circular to this effect So to give credence to these news reports in planning one’s tax affairs may be risky. Secondly, assuming the proposal to be true, whether it is a legally and morally sound proposal? 1) Maximum limit for recharging e-wallets and other prepaid instruments has been increased from Rs 10,000 to Rs 20,000. 2) There will be no service charge for using any debit card and booking of online railways tickets till December 31, 2016. 3) A pilot programme is underway in 20 banks that are using a new Unified Payment Interface Mobile Application (App). This app will enable not just making payments but also getting payments, all instantly, in real time. The transaction limit for using this app is Rs 50,000. • Evidence of the wedding, including the invitation card, copies of receipts for advance payments already made, such as Marriage hall booking, advance payments to caterers, etc. • A detailed list of persons to whom the cash is proposed to be paid, together with a declaration from such persons that they do not have a bank account. The list should indicate the purpose for which the proposed payments are being made. II. Withdrawals are permitted only from accounts which are fully KYC compliant. III. Withdrawals can be made either by the parents or the person getting married. After the demonetization of old currency notes of Rs 500/1000 denominations on Nov. 8, 2016, there is chaos among people holding hefty amounts of cash. Many taxpayers are left with cash proceeds on sale of property which they have accepted in black from buyers. What are consequences if sellers deposit such receipts in bank account? Section 269SS of the Income-Tax Act prohibits acceptance of Rs. 20,000 or more cash for any transaction of transfer of immovable property. The prohibition applies whether the sum is received as advance or otherwise. In terms of section 271D, violation of this prohibition attracts a penalty equal to the amount accepted or received. Thus, if the seller deposits the black component of sale price (received in cash) in bank account and declares it in its return of income and explains it as consideration for sale of property, he is liable to pay capital gains tax with reference to total consideration including black. He will also be visited with a penalty under section 271D equal to the amount of cash accepted or received by him. Editor’s comments: Any sale proceeds received in cash on or after Nov. 9, 2016 in demonetized notes is an invalid transaction. Even if someone has received new currency as sale proceeds, this will result in levy of penalty which shall be equivalent to amount so received in cash. The Government has decided to discontinue with the legal tender character of High Denomination Bank Notes (HDNs) of Rs 500 and Rs 1,000 with effect from November 9, 2016. In other words, such notes will not be legal tenders from midnight of November 8, 2016. Old HDNs can be exchanged or deposited in banks till December 30, 2016.After announcing such demonetization, people have started worrying about the tax implications even in case of genuine savings deposited into bank account. In order to provide clarity on this issue, we have analyzed judicial precedents wherein such issues have been discussed in the past. a) Withdrawal for wedding: Now families can focus on wedding celebration instead of worrying about cash crisis as the Govt. has provided that such families can withdraw up to Rs. 2.5 lakhs from bank account. The amount can be drawn only by either of the parents or the person getting married. The limit of withdrawal will apply to the girl’s and the boy’s family separately. A self-declaration will be required for this purpose. b) Rs. 50,000 withdrawals for Vegetable traders: Traders in wholesale markets/mandis can withdraw up to Rs. 50,000 per week to meet expenses like wages. c) Rs. 25,000 withdrawal for farmers: Farmers are currently selling their produce from the Kharif season in the APMC markets/mandis. The farmers who receive such payments in their bank accounts through cheque/ RTGS will be permitted to draw up to Rs. 25,000/- per week in cash. Such relief is given to farmers to meet with various expenses connected with agriculture operation. d) Withdrawal of Rs. 10,000 by Govt. employees: Government employees will have the option to draw their salary in advance from their bank account. The amount will be adjusted in their salary of November 2016.
e) Reduced limit for exchanging demonetized notes: The withdrawal limit for exchanging demonetized notes has been reduced from Rs 4,500 to Rs 2,000 from November 18, 2016. The Govt. decided to discontinue with the legal tender character of the existing High Denomination Bank Notes (HDNs) of Rs 500 and Rs 1000. This decision has been taken to curb financing of terrorism through the proceeds of Fake Indian Currency Notes and for eliminating Black Money. Old HDNs can be exchanged or deposited in banks till December 30, 2016. As per the existing provisions of Rule 114B, customers have to furnish PAN for cash deposits above Rs 50,000 per day. As per provisions of Rule 114E, the banks were required to report all cash deposits above 50 lakhs in current account and all cash deposits above Rs 10 lakhs in saving accounts in a financial year. Now after the demonetization of currency, people are splitting-up their black money by depositing cash in several accounts of third parties (viz, accounts of their friends, employees, relatives). They are depositing cash less than Rs 50,000 per day and in aggregate less than 10/50 lakhs. To curb such unscrupulous practice of such people hoarding black money, the CBDT has amended Rule 114E to provide that all cash deposits in saving accounts above Rs 2.5 lakhs during the period 9-11-2016 to 30-12-2016 will be reported by banks to income-tax department in AIR (Known as ‘Statement of Financial Transactions’). Further all cash deposits above Rs 12.5 lakhs in current accounts during the period 9-11-2016 to 30-12-2016 will also be reported by banks to income-tax department in AIR. Further, the CBDT has mandated furnishing of PAN by customers for any cash deposits above 2.5 lakhs during the period 9-11-2016 to 30-12-2016 in bank account. After the demonetization of old currency notes of Rs 500/1000, the Govt. has allowed exchange of old notes up to Rs 4500. However, there are long queues outside the banks for exchanging old notes. It has come to the notice of Govt. that people are coming again and again to exchange old notes. In order to stop such unscrupulous practice of multiple withdrawal by same person, the Govt. has asked banks to use indelible ink on people exchanging old notes. 1) No charges on multiple withdrawals from ATM: Under existing norms, bank charges fee for more than 3 withdrawal from ATM. However, due to withdrawal limit of Rs 2500 per day, people are forced to do multiple transactions. Thus, in order to provide relief to them, it has been decided to waive off charges on multiple withdrawals from ATMs till December 30, 2016. 2) Indelible Ink for exchanging old notes: It has come to the notice of Govt. that people are coming again and again to exchange old notes. In order to stop such unscrupulous practice of multiple withdrawal by same person, the Govt. has asked banks to use indelible ink on people exchanging old notes Rs. 500 and 1,000.
a) Withdrawal limits: The withdrawal limit from ATMs has been increased from Rs 2000/- per day to Rs 2500/- per day. The cash withdrawal limit from bank account has been increased to Rs. 24000 per week from Rs 20,000. However, the withdrawal limit of Rs. 10000 per day from bank account has been removed. The current account holders (which are operational for last three months or more) are allowed to withdraw up to Rs. 50000 from bank per week. 3) Exchange limit: The limit of exchanging old notes of Rs. 500/1000 over the counter has been increased from Rs. 4,000 to Rs. 4,500. 4) Senior Citizens: Banks are advised to make arrangements for separate queues for Senior citizens and Divyang (disabled) persons. Similarly, separate queues should also be arranged for people depositing money and those exchanging old notes. Govt. extends validity of demonetized currency till Nov. 14, 2016 for payment of utility bills, etc. As the Government has declared that currency notes of Rs. 500 and Rs. 1,000 denominations will not be valid from midnight of November 8, 2016, citizens will have to surrender the old notes at any branch of a bank or post office to get the new notes. However, Govt. had notified that such demonetized currency would be valid till Nov. 11, 2016 for certain payments like utility bills, Petrol, diesel, LPG Cylinder, etc. Now the Govt. has extended the validity of such currency till Nov. 14, 2016 for payment of utility bills, etc. However, the Govt. had put a rider that payment of utility bills with demonetized currency can be made only by Individuals or households. Further, only arrears or current charges of utility bills can be paid with such currency and no advance payment shall be allowed. When any person deposits some cash amount in his bank account and it is established that such deposit is an unaccounted money (black money), the entire deposit shall be charged to tax without providing the benefit of slab rates. We have analysed the tax impact in three different scenarios, when the amount deposited in bank account is proved to be black money. We request our readers to not rely on the table being circulated in social networking platforms wherein benefit of slab rates and exemption limit is given on black money. 1. You can exchange old high denomination notes of Rs 500 and Rs 1000 at any of the 19 offices of the RBI or at any of the bank branches or at any Head Post Office or Sub-Post Office from 10th November onward till 30th December, 2016.The RBI will issue two new notes of Rs. 2,000 and Rs. 500. 2. You can go to any bank branch with valid identity proof for exchange of notes up to Rs. 4,000. Exchange of currency in excess of Rs. 4,000 (in denomination of Rs. 500 or Rs. 1,000) shall be allowed by way of credit of money into your Bank account only. 3. Withdrawal from ATMs shall be restricted to Rs.2,000 per day per card up to 18th November, 2016. The limit shall be raised to Rs.4,000 per day per card from 19th November, 2016. 4. You can withdraw cash against withdrawal slip or cheque subject to ceiling of Rs. 10,000 in a day within an overall limit of Rs. 20,000 in a week (including withdrawals from ATMs) up to 24th November 2016. 5. There is no restriction on any kind of payments by cheques, demand drafts, mobile wallets or debit or credit cards and electronic fund transfer. 6. The existing notes of Rs 500/1000 can be used till 11th November, 2016 for payment in any government hospitals, to purchase bus tickets at government bus stands, train tickets at railway stations, air tickets at airports, for purchase of milk, consumable goods at Govt. authorized booths, petrol or diesel or for payment at crematoria and burial grounds or to exchange foreign currency by foreign tourists. 7. In case it is not possible for you to visit the branch you may send your representative with an express mandate, i.e. a written authorisation. 8. All ATMs, Cash Deposit Machines, Cash Recycles and any other machine used for receipt and payment of cash shall be shut on 9th and 10th November, 2016.Banks and Government Treasuries will be closed on 9th November, 2016. As per the extant norms, up to 26 % FDI is permissible in pension sector through automatic route. However, FDI up to 49% is permissible in pension sector if approval from Govt. is obtained. To attract more foreign Investment in India, the Govt. has allowed up to 49% FDI in Pension Sector under automatic route. Thus, now approval from Govt. is not required for 49% FDI in Pension Sector. However, it is subject to the condition that foreign investments should be brought in the form of equity shares or preference shares or convertible debentures or warrants of the Pension Fund Regulatory and Development Authority (PFRDA) Act, 2013. Further, an entity should obtain necessary registration from the PFRDA and comply with other requirements of the PFRDA Act, 2013 and Rules and Regulations framed there under. a) The assessee was engaged in the banking business and paid certain legal fees to one legal firm situated in UK. The assessee had deducted and deposited 20% withholding taxes on such payment as per the agreement. b) Subsequently, it filed an appeal before Commissioner (Appeals) and contended that the impugned payment was not liable to be taxed in India. Said contention was considered but dismissed by the Commissioner (Appeals) on the ground that no new source of income came into existence by obtaining the legal services, and hence, the impugned payment constituted 'Royalty'/'FTS' as per section 9(1)(vi)/(vii). 1) The impugned payments were made by assessee for creating or earning a new source of income outside India by way of establishment of new Bank Branch or acquisition of Bank. The GST Council in its fourth meeting held on Nov. 3, 2016 has finalized the GST rates. The finalised rates are 5, 12, 18 and 28 percent. The sin items such as tobacco, aerated drinks, pan masala, etc., will be taxed at more than 28 percent. The rate of GST on Gold has not been decided yet. Items constituting half of the consumer price index (CPI) basket (including food grain) will be exempted from GST. The additional cess would be levied in first five years after GST implementation to compensate States for any loss of revenue. The Corpus of Rs.50,000 Crore would be needed to pay compensation to States in the first year. Whether section 40(a)(ia) could be invoked when Form 15G/15H was obtained from the deductee although not filed before proper authority? 1) Section 40(a)(ia) spells out that the amount cannot be allowed as deduction only in the event when tax is deductible at source and such tax has not been deducted or, after deduction has not been paid. 2) In the instant case, it was the case of the AO that the assessee was required to deduct tax in terms of the provisions of section 194A. Section 194A is further qualified by section 197A(1A) which is a non obstante clause. Section 197A(1A) provides that liability to deduct tax under section 194A ceases when a declaration (i.e., Form 15G, Form 15H, etc.) is received by a person responsible for paying income to the payee. a) The assessee-trust applied for registration in terms of section 12A. b) The Commissioner refused such registration on the ground that the objects and activities of the trust were not charitable and were mainly for the purposes of a Jain Community and, therefore, provisions of section 13(1)(b) were attracted. c) On appeal, the Tribunal was of the view that the Commissioner could not mix the requirements of registration of a trust with that of granting exemption under section 13. 1) It was seen that, the Commissioner focused his attention on particular clauses of the objects of the trust to come to the conclusion that the same were for the benefit of a certain religious communities only, in the process ignoring various other objects, for e.g., the trust would engage itself in activities relating to education by maintaining and running education centers, run hostels, training centers for creating awareness in the common people and to make the education available to the public. 2) It would also engage in imparting training in computers. The trust would engage in doing all activities for medical help and to establish and administer dispensaries, hospitals and laboratories etc. It would also help the patients by supplying medicines and financial assistance. Likewise the trust could engage in rural development schemes. The RBI has allowed banks to allow start-ups to raise up External Commercial Borrowings (ECBs) upto 3 million USD or equivalent during each financial year for a minimum average maturity period of 3 years. An entity recognised as a Start-up by the Central Government on date of raising ECB is eligible to raise such ECBs. Such borrowing should be denominated in any freely convertible currency or in Indian Rupees (INR) or a combination thereof. The money raised can be used for any expenditure in connection with the business of company. The borrowing can be in the form of loan or nonconvertible, optionally convertible or partially convertible preference shares. • In case non-compliant listed entity fails to pay fine levied by stock exchanges within time frame specified in notice issued by the exchange, the concerned stock exchange shall, upon expiry of the period, freeze holdings in other securities in the demat accounts of promoter and promoter group to the extent of liability which shall be calculated on a quarterly basis. • In case of non-compliance for two consecutive periods, and failure to comply with the notice issued by the stock exchange within time frame, the recognized stock exchange shall forthwith intimate the depositories to freeze the entire shareholding of the promoter and promoter group in such listed entity. In addition to the freezing of shares of the non-compliant listed entities, the holdings in the demat accounts of promoter and promoter group in other securities shall also be frozen to the extent of liability which shall be calculated on a quarterly basis. • While freezing the holdings the recognized stock exchange shall have discretion of determining which of the securities and holdings of a promoter or promoter group entity are to be frozen. The existing Double Taxation Avoidance Agreement (‘DTAA’) between India and Korea was signed on 19th July, 1985 and notified on 26th September 1986. A revised DTAA between India and Korea signed on 18th May 2015 during the visit of the Hon’ble PM to Seoul has entered into force on 12th September 2016, on completion of procedural requirements by both the countries. Provisions of new DTAA will have effect in India in respect of income derived in fiscal years beginning on or after 1st April, 2017.
a) The existing DTAA provided for residence based taxation of capital gains on shares. In line with India’s policy of taxation of capital gains on shares, the revised DTAA provides for source based taxation of capital gains arising from alienation of shares comprising more than 5% of share capital. b) In order to promote cross border flow of investments and technology, the revised DTAA provides for reduction in withholding tax rates from 15% to 10% on royalties or fees for technical services and from 15% to 10% on interest income. Whether the CIT(A) has erred in deleting the addition of Short Term Capital Gains earned by the assessee on transfer of land to the Partnership firm as their Capital Contribution, by holding that the provisions of section 45(3) was not applicable? 1) Section 45(3) is applicable only in respect of a capital asset. The said provision has no application in the instant case since what was transferred by the partners was a current asset and not a capital asset. 2) Section 45(3) did not come into operation for the assessment year 2008-09 by reason of conversion of the developed land and building into fixed assets by the said firm or due to revaluation by the said firm of the asset so converted during the previous year ended March 31, 2008. Whether the order of assessment would be deemed to be pending for purpose of maintainability of settlement application just because such order was not dispatched or served? 1) There has been divergent views of Bombay High Court and Delhi High Court on this impugned issue. In case of CIT v. Income tax settlement commission 58 taxmann.com 264 (Bombay) the Bombay High Court held that the date of service of assessment order is the crucial date only after which application for settlement could not be filed. However, in case of Qualimax Electronics (P.) Ltd. v. Union of India  27 STT 231 (Delhi) the Delhi High Court held that the crucial date would be the date of dispatch of the order and not the date of its service. a) The assessee had shown income from long-term capital gain from sale of house property. b) It claimed deduction of certain amount paid to brothers for vacating the house as expenditure incurred for improvement of asset. c) The Assessing Officer declined such claim on the ground that the assessees were the sole occupant of their property and brothers were neither living in capacity of a tenant nor were paying any rent. d) On appeal, the CIT (Appeals) affirmed the findings of the Assessing Officer. The aggrievedassessee filed the instant appeal. 1) In the present appeals, situation was required to be appreciated, keeping in mind social circumstances and the relationship of the brothers. What was their settlement while residing together? What was feeling of elder brother towards their younger brother, when they displaced them from a property where they were residing for last more than 24 years? 1. The Centre has proposed four-tiered rate structure, i.e., 6%, 12%, 18% and 26%.Such proposal also includes tax rate of 4% on gold. Maximum rate of 26% has been proposed on demerit or luxuries goods. However, the GST meeting was concluded without any final decision on GST rates. Decision on GST rates will be decided in next meeting of GST council to be held in November, 2016. Section 115-O provides for levy of Dividend Distribution Tax(‘DDT’) on the company at the time when company distributes, declares or pays any dividend to its shareholders. Consequent to the levy of DDT the amount of dividend received by the shareholders is not included in the total income of the shareholder. However, the consideration received by a shareholder on buy-back of shares by the company is not treated as dividend but is taxable as capital gains under section 46A. Unlisted Companies, as part of tax avoidance scheme, were resorting to buy-back of shares instead of payment of dividends in order to avoid payment of tax by way of DDT particularly where the capital gains arising to the shareholders were either not chargeable to tax or were taxable at a lower rate. HC pulls up tax dept. for issuing unlawful block assessment notice; imposed costs on dept. This Petition challenges a notice issued by the AO under Section 158BC calling upon the Petitioner to file his return of income within a period of 15 days of service of the notice. 1) It was clear that no incriminating documents were found during the course of search. In any case the appraisal report would indicate that no notice under Section 158BC of the Act could be issued to the Petitioner as the condition precedent to issue such notice (viz, undisclosed income found during the search proceedings) was not satisfied. 2) This action on the part of the Respondents-revenue to issue the impugned notice ignoring the appraisal report was highly deplorable. We live in a Country governed by laws. The Officers of the Income Tax Department are obliged to proceed in accordance with the statutory provisions and not on their whim and fancy. 3) The Officers hold power in trust and must ensure that no citizen is harassed by sending him notices, when on the basis on its own record, such notices are not sustainable. We trust that the Income Tax Department would adopt a standard operating procedure which would provide for appropriate safeguards before issuing notices under Chapter XIVB of the Act. This alone would ensure that Officers of the Revenue act in terms of the mandate provided in the Act. 1) Taxable event means an event on happening of which the charge is fixed. Supply is taxable event under GST. 2) GST is a tax on supply of goods and services. Supply includes all forms of supply where goods and/or services are supplied by a person for a consideration. 3) Earlier, excise duty is levied on manufacturing of goods, service tax is levied on provision of services and sales tax or VAT is levied on sale of goods. Under GST regime, all these existing concepts will be irrelevant. 4) The term “Supply” is not properly defined under Model GST law. An inclusive definition is given without defining meaning of supply. 1. The application for GST registration will be made online either directly on the GSTN Portal or through Facilitation Centres. 2. The proper officer will examine registration application and grant registration within 3 common working days. 3. If the application is found deficient, then applicant will be intimated within 3 common working days. Thereafter, applicant has to furnish information or documents sought within 7 working days electronically. If the proper officer is satisfied with such details, then he will grant registration within 7 common working days from date of receipt of such details. 4. The person obtaining registration as casual dealer is required to make advance deposit for estimated tax liability for the period for which registration is sought. 5. The registration certificate must be displayed at principal place of business and at every additional place of business. GSTIN (i.e. registration number) must be displayed in the name board at the entry point of business premises. ♦ Delivery address along with the name of State. 7. Every invoice should contain place of supply if supply is in course of inter-State trade or commerce. 8. Three copies of invoice should be prepared in case of goods and only two copies of invoice are needed in case of services. 9. In case of taxable supply of services, the invoice shall be issued within 30 days from date of supply of services. However, no time-period is specified for issuance of invoice in case of supply of goods. 10. The registered taxable person is required to file details of outward supplies in Form GSTR-1 electronically. The recipient will receive GSTR 2A on the basis of details furnished by supplier in GSTR 1. 11. The recipient will file details of inward supplies in GSTR 2 electronically on basis of details contained in GSTR 2A. The recipient shall specify the details of inward supplies for which he is not eligible for input tax credit and quantum of such ineligible input credit. 12. The registered taxable person (other than composition dealer) shall file monthly return in GSTR-3. Part of this return will be electronically generated from GSTR 1, GSTR 2, electronic credit ledger, electronic cash ledger and electronic liability register. 13. A notice in Form GSTR 3A will be sent electronically to a registered taxable person who fails to file returns. 14. The electronic tax liability register, electronic credit ledger and electronic cash ledger will be maintained on the common portal for every registered person. 15. The electronic tax liability register shall be debited with amount of tax, interest, late fee, mismatch in credits, etc. It shall be credited with amount paid through electronic cash register or electronic credit register. 16. The electronic credit ledger of taxpayer will show the details of invoice and amount of credit. It will also show details of credit matchingor mismatching. 17. The electronic cash ledger shall be credited with the amount deposited and debiting with the payment therefrom towards tax interest, penalty, fee or any other amount. 18. The final acceptance of input credit will be made available to registered taxable person through Form GST ITC 1 electronically. 19. The refund claimed in Part B of GSTR-3 shall be deemed to be an application filed for refund. ♦ Person claiming refund has not been prosecuted for any offence under GST during any 5 preceding years. If he has been prosecuted under an earlier law, the amount of tax evaded should not exceed Rs.2,50,000. ♦ GST compliance rating of the applicant is not less than 5 on a scale of 10. ♦ No proceeding for any appeal, review or revision is pending on issues which form the basis of the refund andif pending, the same has not been stayed by the appropriate authority or court. 21. Refund shall be granted after adjusting any outstanding demand payable by the applicant. 22. If Proper Officer is satisfied that refund is not payable then he shall issue a notice requiring applicant to furnish a reply within 15 days. 23. Any amount rejected as refund shall be re-credited to the electronic credit ledger. 24. Person claiming refund of tax paid on inward supplies shall apply for refund in FORM GST RFD-10 once in every quarter.